Some of the dog waiting to run. One of the ladys driving a team back to the other end. One of the ladys driving a team. All the women in our last session of class. 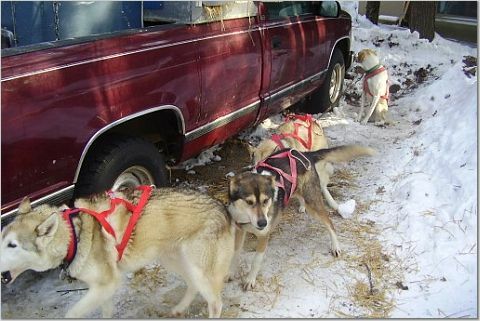 The ladys helping get the dogs ready to run.